Syria will not allow Western investors to step into the rebuilding of war-damaged country as they only come to “take” from foreign economies, Syria’s Bashar Assad told Russian media, adding he will seek friendly aid instead. The US and its Western allies have been actively engaged in the seven-year long war in Syria, including the illegal stationing of troops in the country and backing anti-government militants such as Free Syrian Army (FSA) and “moderate” Islamist groups. The war has dealt billions in damage to the country, but President Assad is determined to rebuild without a single penny from the “dishonest” West. “They [the West] won’t be part of reconstruction in Syria, because very simply we won’t allow them to be part of it… we don’t need the West. 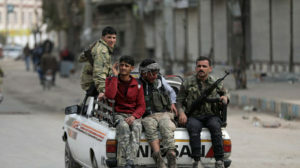 The West is not honest at all, they don’t give, they only take,” the Syrian leader told Russian NTV channel on Sunday. The country was historically built without external help, the Syrian president stressed, adding that any loans would be allowed only from “friends.” On the other hand, European investors, who have been privately contacting the Syrian authorities on the matter, will be banned from Syrian markets. 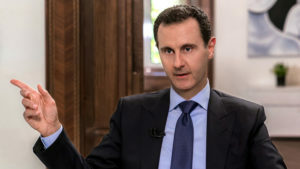 Assad says that Europe has eyes for Syria just to save its own “dire” economies.